It’s been four years since we started ‘Glou Glou’. 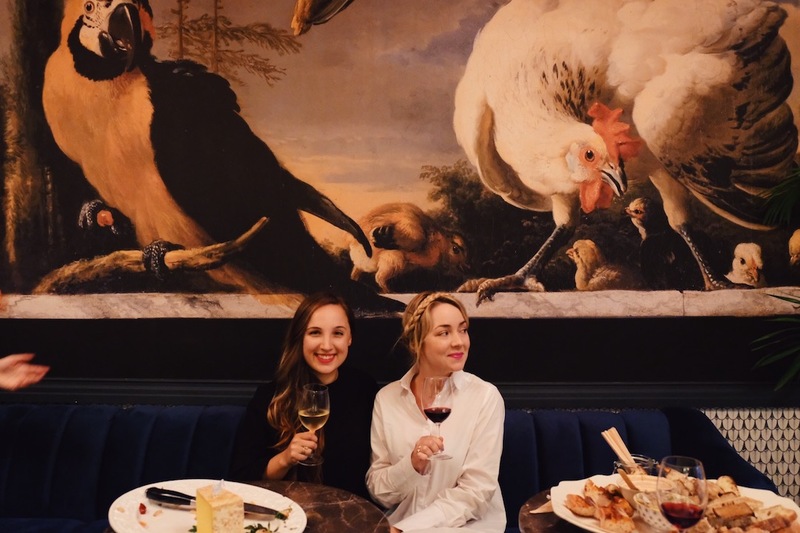 To date, we’ve loved sharing our wine journey with all of you on both our blog and Instagram. We started the blog as two young whippersnappers while both enrolled in a Master’s in Wine Business in France. It had been a long Winter in grey and chilly Burgundy and when given the task of starting a blog for our Wine Media module, we couldn’t have been more pumped for a new excuse to drink loads of wine and wax lyrical about it. Neither of us came from wine backgrounds. Before embarking on our wine studies we were just a couple of regular Joes (Joans?) who couldn’t tell our Sauvignon from our Sémillon (and to be fair, still get it wrong more often than you’d think). And while we were intrigued by the wine world, we were also almost cripplingly intimidated. We were lucky to be in the same boat, as we’re not sure we would’ve had the courage to start writing about wine so early on if we hadn’t had each other for support and encouragement. Pushing through the ponce and establishing a foundation of basic wine knowledge was worth beyond what we could’ve imagined. Not only has it led us to fascinating, multifaceted careers in the wine industry, but it’s exposed us to knowledge, gastronomy, travel opportunities and quirky characters that have made our lives as sparkly as a fresh glass of MCC. We can’t imagine life without the prism that is wine and have made it a priority to share our experience of wine that is distinctly human. Four years after its origins as a class project and one name change later (Chalk and Cheese didn’t quite cut it for us), Glou Glou has grown into what we hope is both an educational resource and a source of inspiration. While we’ve both been grafting away at our day jobs in the industry, accumulating ever more wine knowledge, we’ve always taken time out to nurture this project, in the hope that little bits of knowledge and photography can inspire others to join us on our wine journey. We’re proud of our work, but there’s one thing that’s always frustrated us a little. While it’s one thing to read about wine, it’s another to experience it for yourself. At times we’ve perhaps written about wines which aren’t easily accessible or widely available across our readership. As of today, we are thrilled to announce that we will be partnering with Port2Port – our preferred online wine marketplace – to focus on wines that are available nationwide in South Africa from this platform in just a few clicks. The beauty of Port2Port it is that it’s a marketplace. Think Amazon for wine – while still managing to be highly curated and quality-centric. We believe that having access to this portfolio, which encompasses a large swathe of the South African industry and beyond, is going to allow us to discover exponentially more wines and stories, while maintaining our editorial integrity and enabling you, our reader, to join in on the fun. At the end of the day, wine is there to be shared – so while you join us in navigating Port2Port‘s expansive offering, we look forward to making our platforms more engaging, inspiring and inclusive than ever before.